Need a new boiler in Montrose? Get FREE no-obligation quotes now! Based in Dundee and established in 2004, Domestic Plumbing and Heating (Scotland) Ltd are experts. 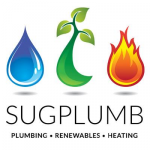 family run company with over 30yrs experience in oil heating,all aspects covered, oftec approved engineers. Currently using storage heaters. Open to advice on the location of the new boiler. Requires: x5 radiators. Install within 1 month. Contact anytime. Current fuel type: electric. Current Boiler: storage heaters. 20 years old. Replace ASAP. Contact anytime. Current Fuel: Oil. Current Boiler: None. Open to advice on location and wants 4+ radiators. Install within 1 month and contact anytime.